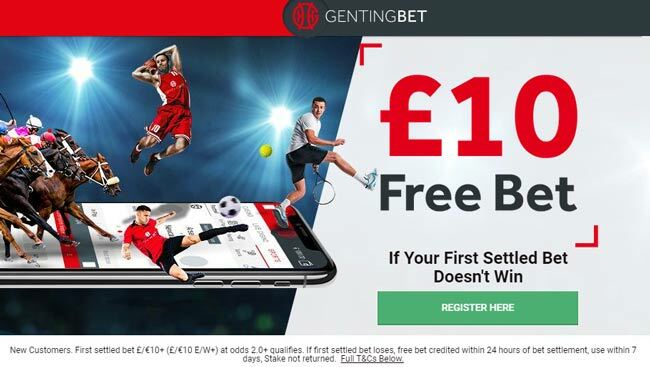 GentingBet is offering a £40 first bet insurance to all new customers! 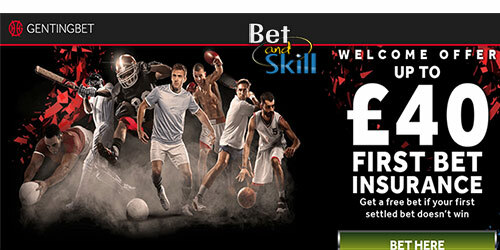 Register today and get a free bet if your first settled bet doesn't win! Start betting with no risks attached! 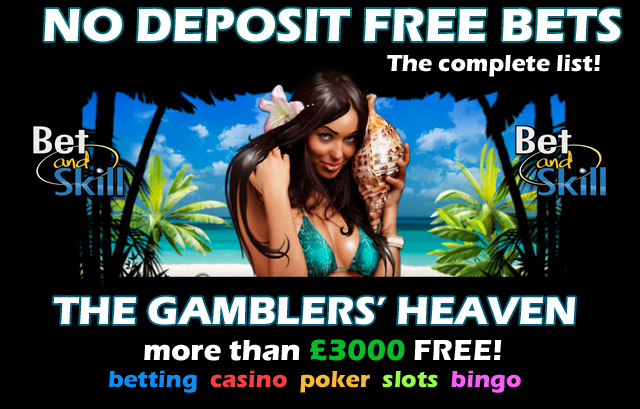 If you are new to Genting, this is the best time to join this bookmaker as you can get up to £40 free bet! 3) Bet Insurance: Free bet up to £40 if your first settled bet doesn't win. This bonus is open to new customers only. Existing or prior account holders with us are not eligible. You must be 18 years of age or older to participate. Players previously excluded from our site, promotions, bonuses, concessions, or rewards, are not eligible. - What about the qualifying bet? A qualifying bet is a losing first settled real money single bet of at least £/€10 + (at odds of evens (2.0) or greater (or a multiple where each selection is at odds of 2/5 (1.4) or more. It is licensed and regulated by the UK Gambling Commission and the website is available on your PC and also your mobile devices. GentingBet lists more than 20 different sports, including some of the most popular sports in the world like football, tennis and horseracing, but also many minor sports like cycling, Australian rules football and other. GentingBet also offers special enhanced odds for certain combinations of selections. By choosing the enhanced odds bet will get a lot higher returns than the usual ones. This operator offers live betting across a range of sports and events, and it is also possible to cash out on football, tennis and horse racing bets. There’s an iOS mobile betting app available in the App Store, whereas if you have an Android device you can open the website in your mobile browser. "GentingBet £40 Free Bet Insurance If Your First Bet Doesn't Win"